Poke is a red-based, bright (yet deep), violet-purple grape with shimmers. 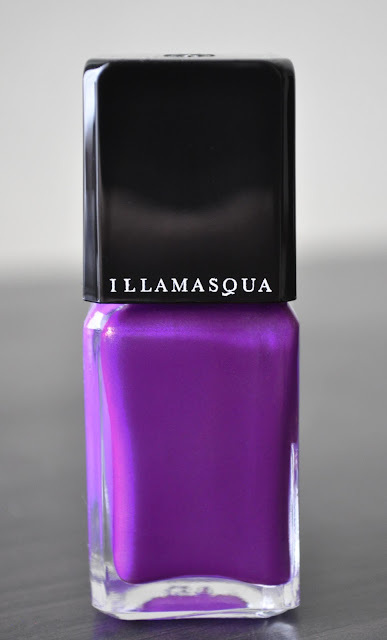 I ADORE Illamasqua nail varnishes, but I have to confess that I was underwhelmed with Poke. I love the color, but when it dries down, it's dull and lifeless. You need a mega shine top coat to revive this polish! Even though the finish is disappointing, I really like the color, so, I'll make it work. I like Poke a lot! As I always use some kind of quick drying topcoat, I had actually never noticed that it's dull when it dries. You're absolutely right though - I just applied it now. 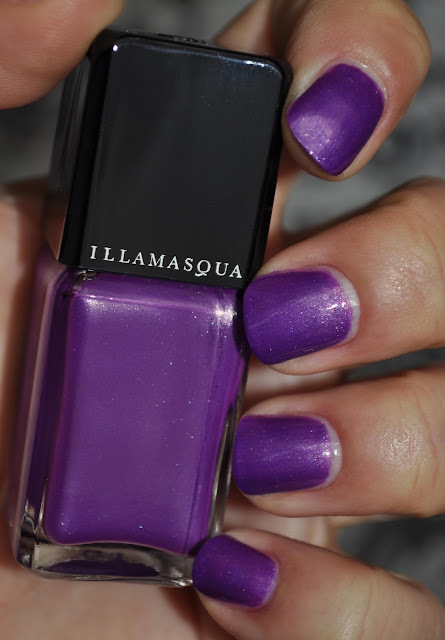 Another happy purple Illamasqua shade which I love is Jo mina. Jo Mina is GORGEOUS! Love that shade! The dull finish annoys me so, that can't use it without a top coat...Shame on Poke's formula! Illamasqua polishes are some of my favorites! 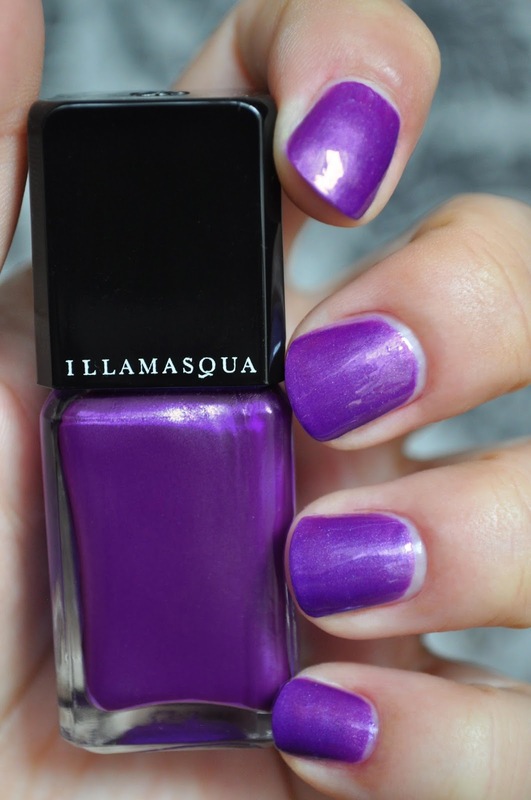 HY!wow so lovely and wonderful your nail paint and amazing color.Thanks for share.